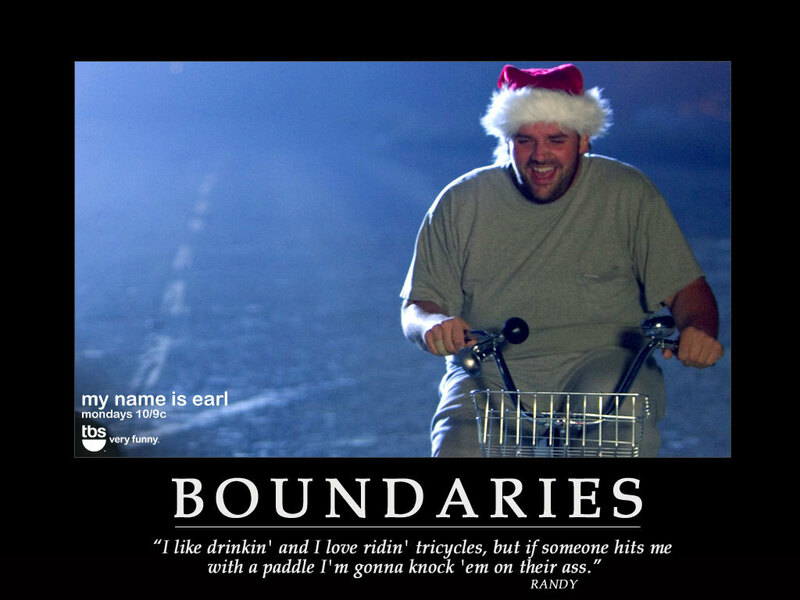 Boundaries. . HD Wallpaper and background images in the My Name is Earl club tagged: my name is earl season 1 2005 randy hickey fan art banners motivational posters. This My Name is Earl fan art might contain sign, poster, text, and chalkboard.